Oxen Pearl Lustre Pigments are totally new type of Pigments. It has special pearl lustre gloss and fascinating colors. Its characteristics of nontoxic and no pollution make it widely welcomed, and in place of the traditional pigments in more and more industrial fields. Structure: Oxen Pearl Lustre pigments are natural mica flakes coated by TiO2( Oxide Titanium) under special treatment process. Excellent properties in weather resistant, heat resistant, light resistant, acid and alkali resistant, no fading, no immigration, and easy dispersion. Fine particle size for convenience using. Distinctive advantage of chemical stability. Using Oxen Pearl Lustre Pigments, not only can bring your products the enthralling outlooks and gentlest lustre, but also help you to make Green Products, and avoid any safety or pollution problem. The Oxen Pearl Lustre Pigments can be used in various industries, such as paints and coatings, plastics and master batches, printing inks, textile printings, rubbers, paper and pulps, as well as cosmetics, etc. 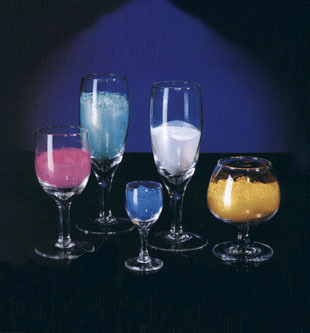 Oxen Special Chemicals Ltd. is the leading manufacturers in the field of Pearl Lustre Pigments in China. Oxen Pearl Lustre pigments have the reliable quality, seven products serious, and more than one hundred colors to serve your special purpose. For any further details on the products, you are welcome to contact us.